Southern Sun Dar es Salaam offers the best accommodation for the modern adventurer in this exciting and romantic location. Here at one of Dar es Salaam’s most exotic and stylish hotels you are sure to have an adventure of a lifetime! 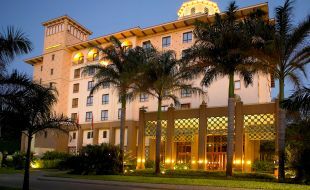 The Southern Sun Dar es Salaam hotel has 152 rooms with en-suite bathrooms. Each room has a minibar, air-conditioning, an electronic safe, free WiFi, 24-hour room service and more. To help you plan well for your adventures, you can take advantage of the on-site tour operator. There is also a fitness centre and many other services for your convenience and enjoyment. Dar es Salaam grew from humble beginnings as a small fishing village into a bustling city and port in Tanzania, on the coast of the Indian ocean. What began as a ‘place of peace’ as its Arabic name suggests, soon became one of the most vibrant and busy ports in East Africa. The people of Dar es Salaam are as vibrant as the city and represent an exciting mix of cultures. Get a taste of the city with the culinary choices on offer – from traditional Tanzanian to Indian. If you want to experience the authentic side of Dar es Salaam then there is no better place to start than the Kariakoo Market. Shop like the locals shop and enjoy the kind of shopping you won’t get to experience back home! Get to know the history and the culture of Tanzania at the National Museum of Dar es Salaam. You will leave with a renewed appreciation for the city that surrounds you. And when you need to find your ‘place of peace’ head to Coco Beach on the weekend. Try something new at the tasty street food stalls and stop to listen to music performances from local artists. You will be set for an exciting and unforgettable time in exotic Dar es Salaam! If you travel about 25 kilometres from the city centre, you will find a magnificent nature reserve. There you can go for a beautiful hike on one of the trails, enjoy the stunning bird life and for the really brave, visit a cave that is known for its colony of bats. An unpopulated island that is a 30 minute boat ride from Dar es Salaam. There you can relax on the beautiful beaches and explore the breathtaking marine life amongst the amazing coral. Its 61 kilometres from the city, but well worth the journey. This unique town is full of history and is a joy to explore. Take a walk around eighteenth and nineteenth century Swahili coral buildings and enjoy lunch at one of the towns welcoming restaurants. While you are in Bagamoyo Town, you should visit the medieval Kaole ruins that are just 5 kilometres away. So much can be said about Zanzibar, an island that is synonymous with spice, romance and some of the most picture perfect sights throughout Africa. If you want to make your travels worthwhile and if you are able, take a ferry over to this world renowned paradise. It will take about 2 hours so you can definitely make this a day trip if you leave as early as the first ferry. It will make for a day that you will never forget! Just 14 kilometres from the airport and adjacent to the International Convention Centre, the hotel overlooks the city’s botanical gardens and is in close proximity to Government departments and diplomatic missions. A travel centre sees to travel requirements including tours to Zanzibar or Tanzania’s National Parks providing convenience while a gym and pool are available for residents. Open for lunch and dinner, the Baraza Grill, Café & Bar in central Dar es Salaam offers something for everyone. Located on the main floor of the Southern Sun Dar es Salaam hotel, right next to the historical Botanical Gardens, the restaurant is a tranquil, relaxing retreat from the bustling city centre. Baraza’s menu offers a delicious fusion of local Tanzanian cuisine with its traditional Arabic and African influences combined with contemporary Western cuisine. 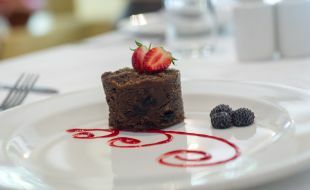 Diners can also enjoy mouth-watering steaks, fresh seafood and traditional Swahili dishes. Or, if you’re looking for something out of the ordinary, try one of the Chef’s weekly specials. Whether you’re in the mood for a quiet cup of coffee, a relaxing drink after work or a delicious meal, Baraza Café, Grill and Bar is the place to be.